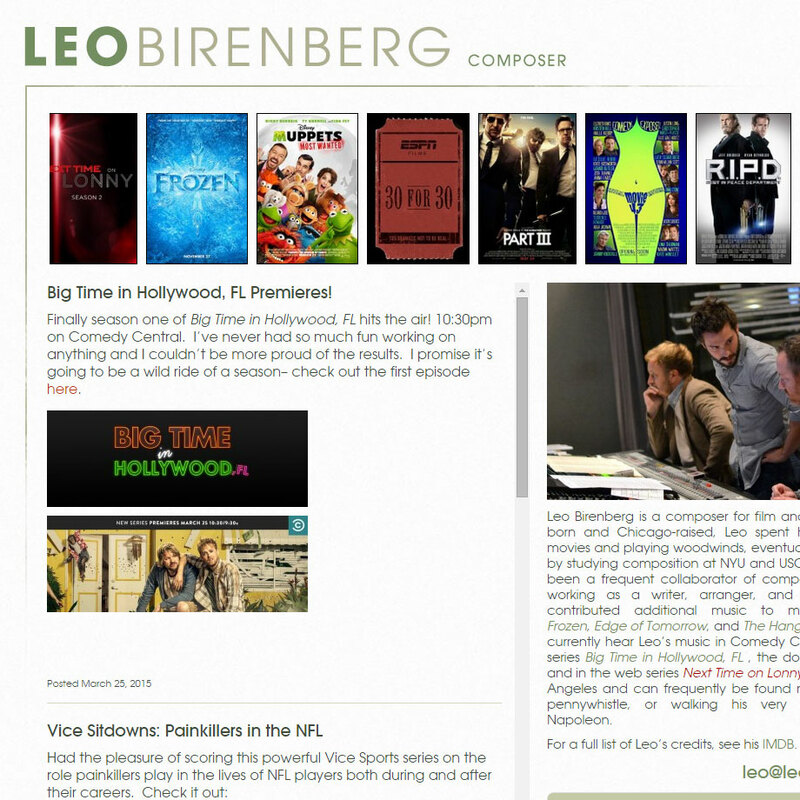 Composer Leo Birenberg wanted a simple one-page website, so I was up for the task! Using a basic WordPress theme (Twenty Twelve), we tossed in a jQuery poster slider, a musicplayer, some news, and a photo and bio. That was pretty much it, basing the back-end database off previous work I’ve done to allow for client updating. 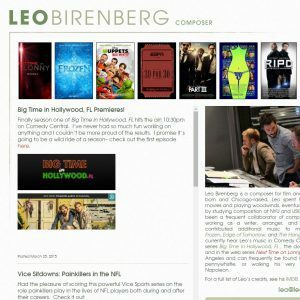 Leo wanted to have project pages, so I restructured the posters as a “Project” WP custom type, as well as migrated the audio into the Cue plugin player set with custom PHP to convert it to a jPlayer XML structure.